Software massive downloads help digital virus to spread. To protect webusers, software developers have to be known. Digital certificates developed by Microsoft and Sun enable developers to sign their work. When a webuser's downloding a software, a dialogue box appears that gives information about the developer. That way he can decide to download the application or not.That kind of certificate is issued by Thawte. (1): Indicative delivery times that can be impacted by occasional disruptions. Consult the up-to-date situation of each supplier. Thawte's code signing certificates that are available are listed below. If you don't know wich technology to use, please read the "technical details" page. 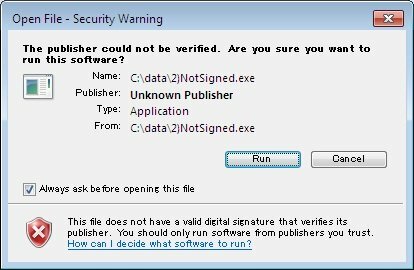 According to the editors, you have to use a certificate per technology or client. 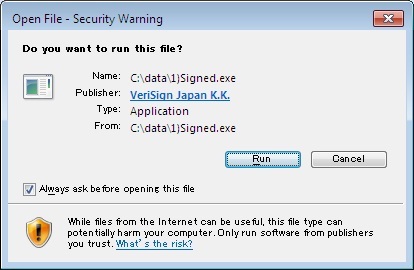 There's a tip for limiting the number of code signing certificates purchase. See the links below.